Since 2016, we've taken the firm stance that ShowcaseSTL, Riverfront Times' annual music festival, must have no less than 100 acts. Truth is, we could book ten times that many and we would still only scratch the surface of the St. Louis music scene. That's why we have come to you, dear reader and music fan, to sing the praises of your unsung local favorites. 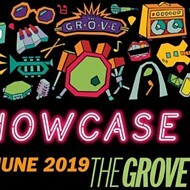 While we're excited to reveal the full line-up of artists performing on June 21 and 22 in the Grove, ShowcaseSTL would be incomplete without your input. 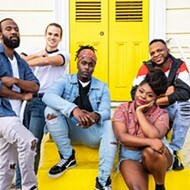 So for 2019, we want to hear your opinion on who should perform at this year's event. Instead of throwing down a long list of names, we want to know a few more things about your picks. To submit your favorites, fill out the form below – once for each act (stuffing the ballot will accomplish nothing, as every nomination will be treated equally, so don't bother). Nominations close at 11:59 p.m. on Friday, February 22. Note: If you're in a band and eager to apply for ShowcaseSTL, don't nominate yourself. Just don't. Please. Submissions for band members will open early next week with a separate form; stay tuned to this blog.